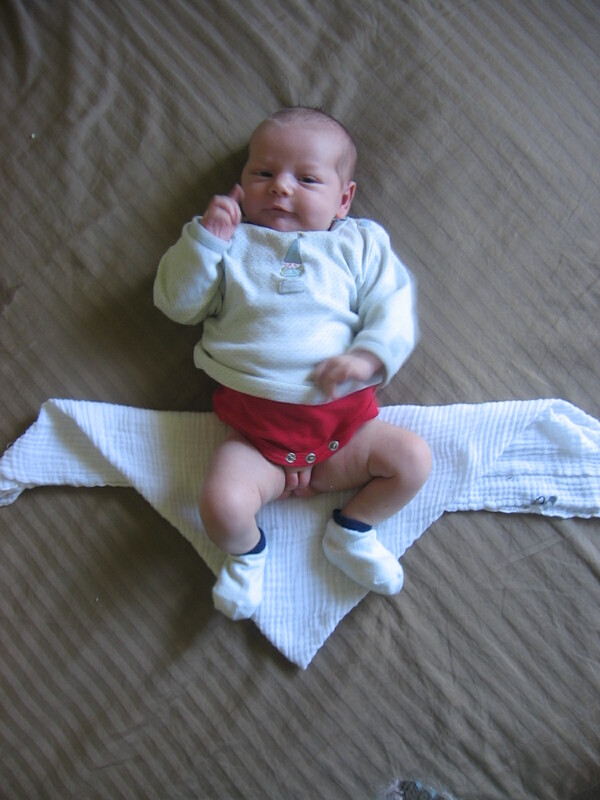 First, fold your nappy into a triangle. 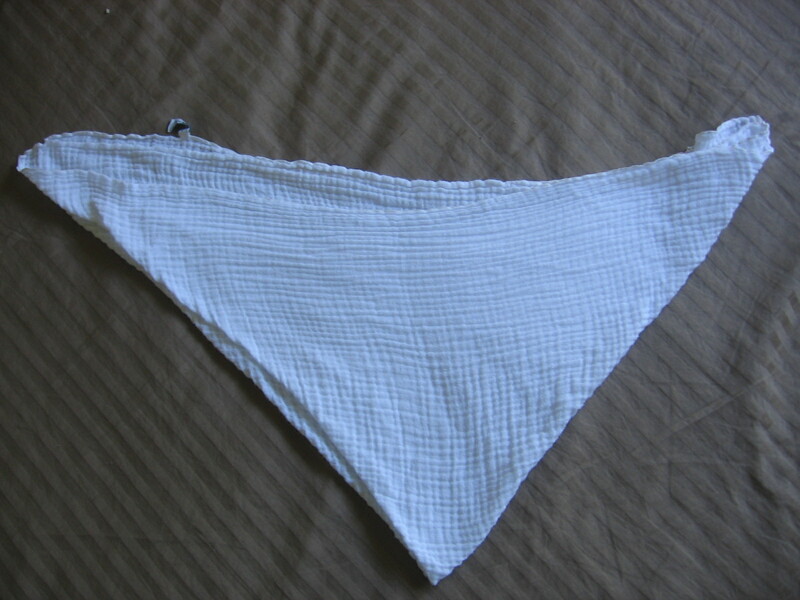 My nappies are quite large so I fold them in half like a triangle, and then fold the corners over again to double the thickness and make it smaller. 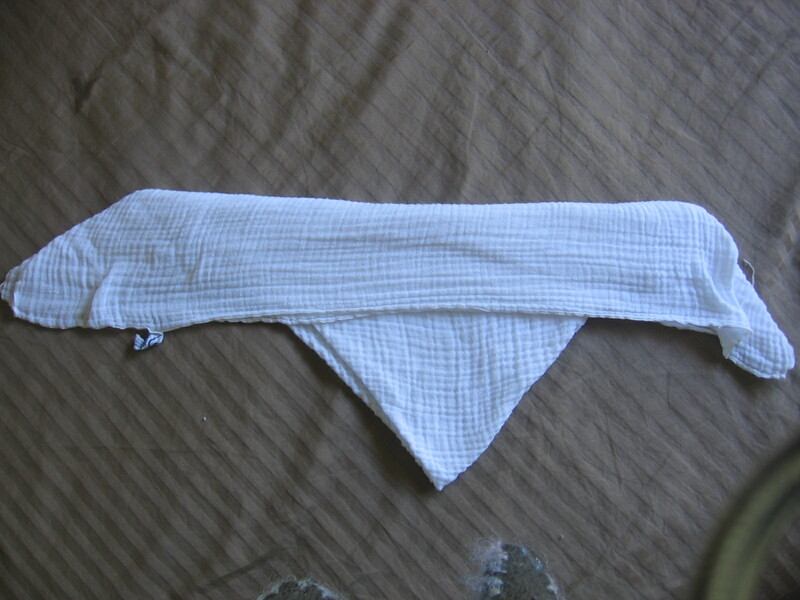 Arrange the nappy so that the middle points towards you. Next, fold the top down. This will create a flap that will hold the ends of the nappy in at the back. I like a big flap, David makes his a bit thinner. 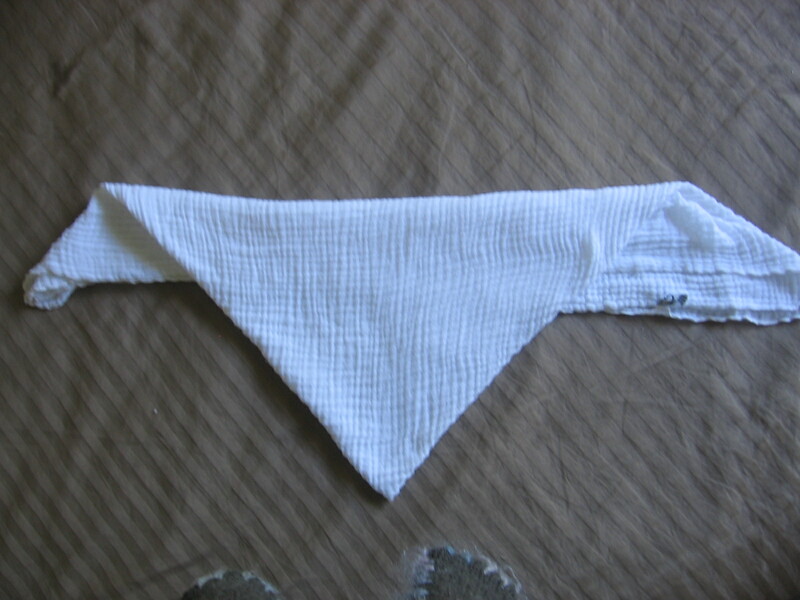 Turn the nappy over so the fold is underneath. Now, find a gorgeous little newborn who needs a clean nappy and place on top. 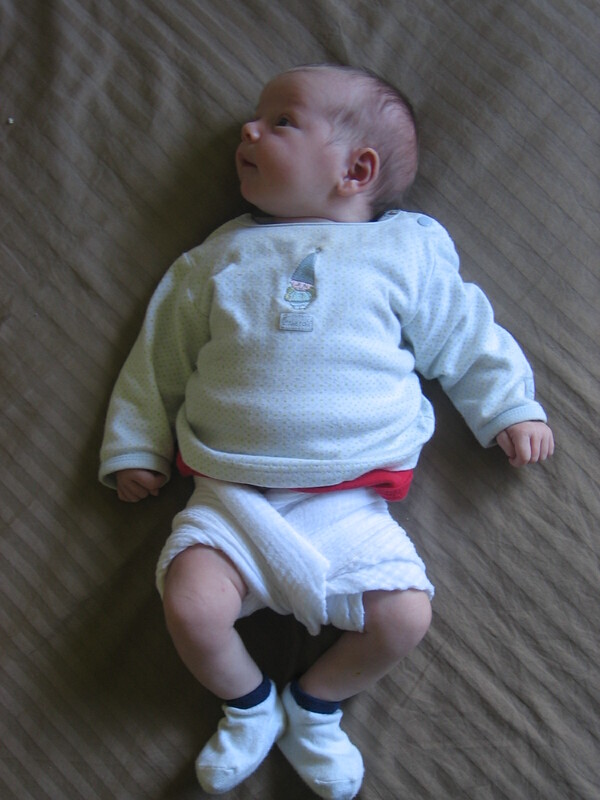 Fold the middle point up between baby’s legs. 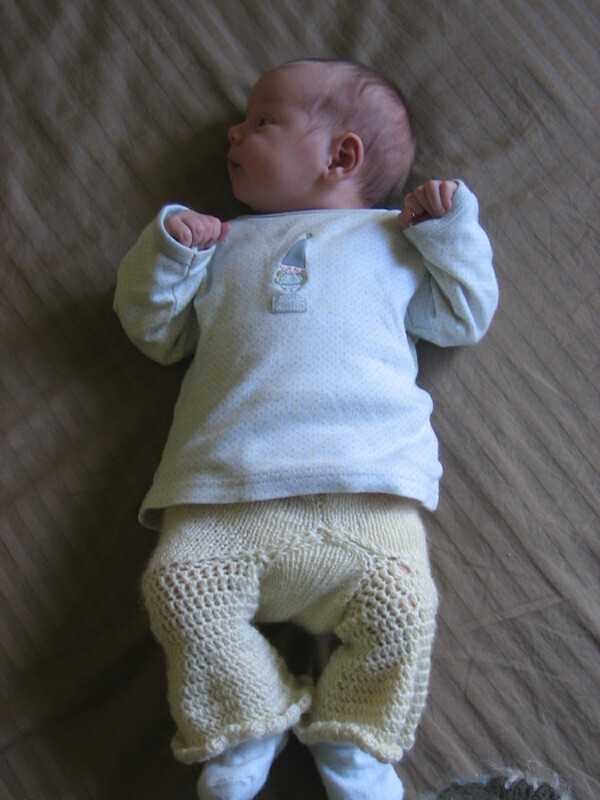 Then take one end and fold it between baby’s legs, and under the bottom on the opposite side. Tuck under the flap. Then top it all off with a pair of home-made woollen soakers that have been lanolised. The lanolin helps the wool to absorb moisture, but keep the pants dry at the same time. Do you like her flares? I think you have a star performer there Jen. Istn’t she cute. I love that fold too. A nurse showed me that one when I was in hospital after having my first baby 18 years ago. Although I didn’t get woolies until baby #4 I have always used that fold when nappying my tinys! This is gorgeous Jen! Now I can just send clients to your site to explain the fold….